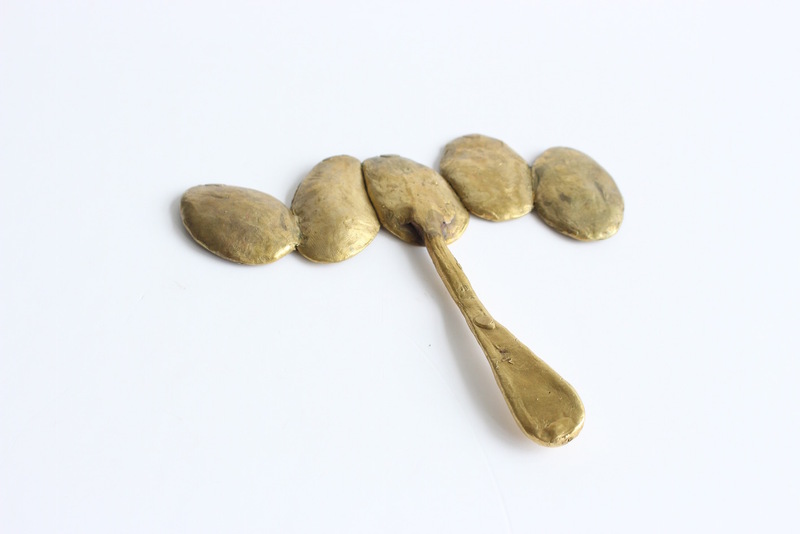 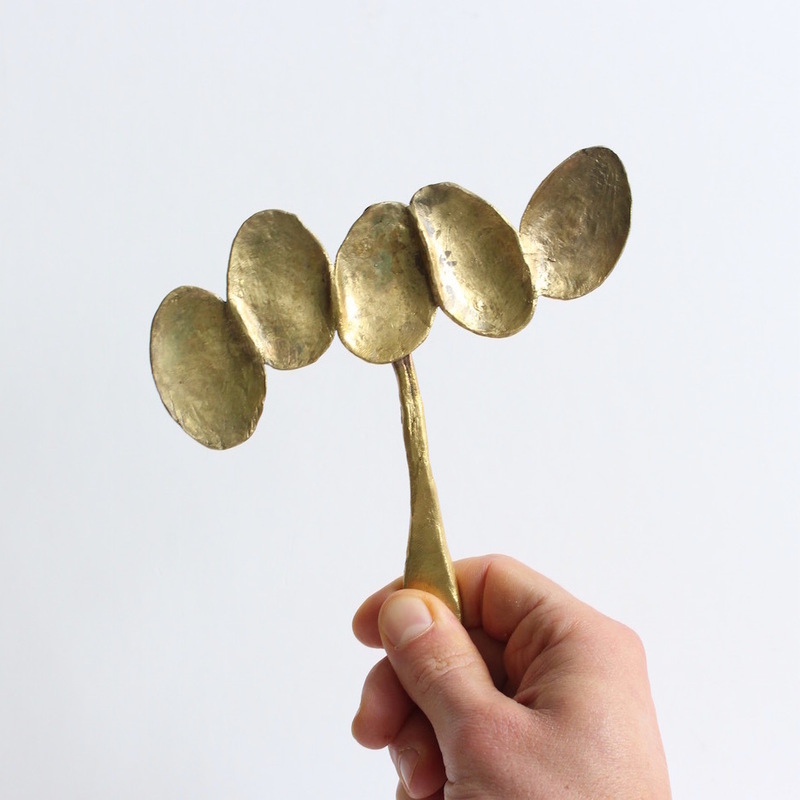 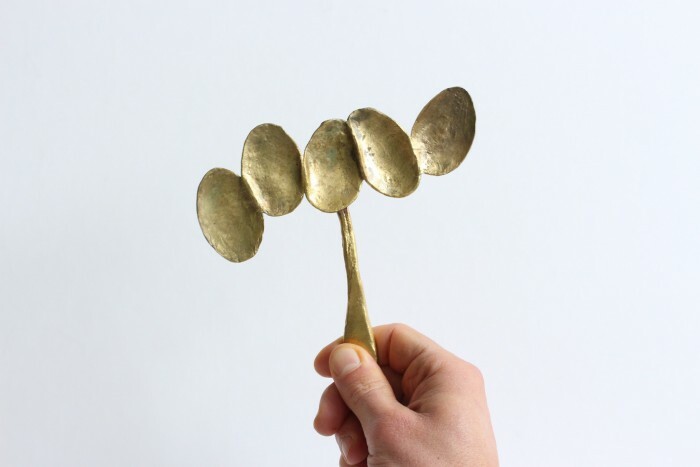 This spoon is made of brass. Techniques used: modeling and casting. Cleaning instructions: The spoon can be carefully cleaned with water and soap. 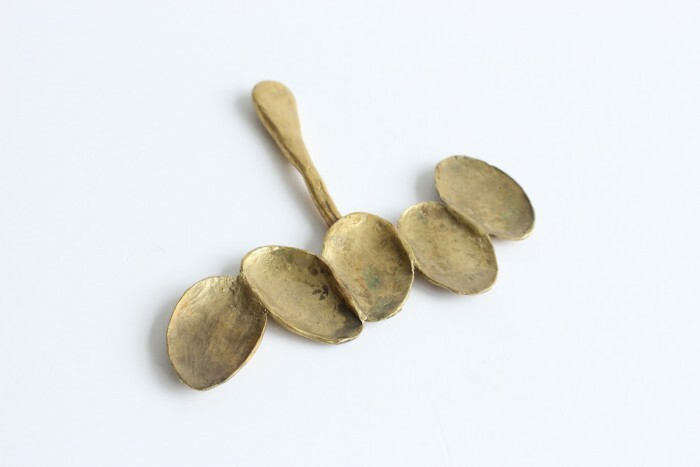 Wipe the spoon dry with a cloth and leave it so the remaining moisture can evaporate. 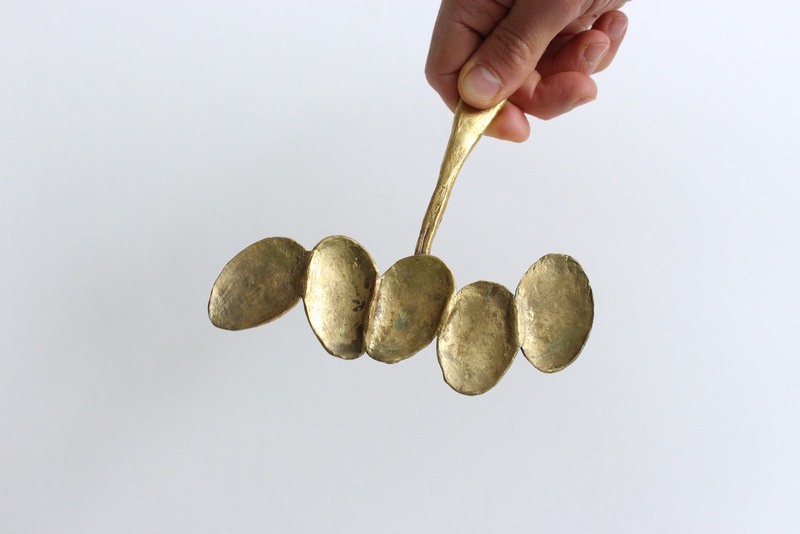 When the metal part starts to oxidize, you can clean it with a brass brush.